Vowels make a short sound (sat, bed, lip, hot, sun) and a long sound (where the vowel sounds like its name- game, sleep, high, boat, cube). It is important for children to understand common letter combinations. This is not a comprehensive list. 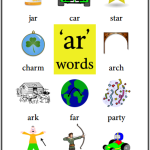 Visit our phonics worksheets page for our complete set of long vowel sound resources. child practice at identifying the different letter combinations that can be used to create the given sound. 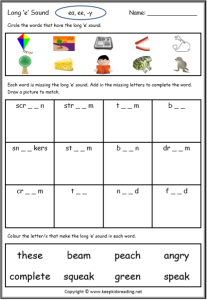 Visit our phonics worksheets page for our complete list of long vowel sound worksheets.